Yes really. The sights you see in a gym changing room. Ok… so I almost spit out my coffee when I read that. Because yes, I really, truly had just sat down with a fresh, hot, black cup of coffee and had just taken a sip when I glanced at the photo…. 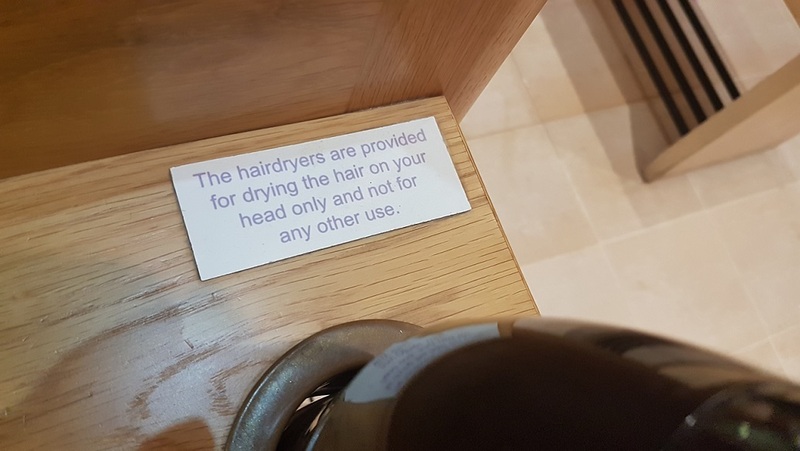 I have seen guys dry their swimsuits with the hair dryer. I wish I could say that’s all I had seen….